The Highlander is a mid-sized three-row SUV that can be fitted with either a 185 hp, 184 lb-ft 2.7-liter 4-cylinder engine that is rear-wheel drive only and is mated to a 6-speed automatic or a 295 hp, 263 lb-ft 3.5-liter V6 which can be specified with all-wheel drive and has an 8-speed automatic transmission. Refinement levels and ride quality are commendable although the interior is tight in the rear two rows. Standard specifications are excellent with even the base LE trim getting adaptive cruise control and autonomous emergency braking. With nearly 83 million families in the United States, chances are many of them drive some kind of family car. Every parent reaches a crossroads in their life when their current car is simply too small for child-hauling duties and the decision to buy a minivan is put on the table. Some parents just accept their fate, opting for one of the many fine minivans that are on sale in 2018. For others, who simply refuse to consider minivan ownership as an option, there are three-row mid-size SUVs like the 2018 Toyota Highlander I spent a week driving. A Blizzard Pearl White Highlander XLE to be exact. So, was it a solid minivan alternative, or is your money better spent elsewhere? Released in 2014 and facelifted in 2016, the Toyota Highlander is currently in its third generation. The design won't turn many heads (especially in rental car white), but I believe this is one of the more handsome Toyota designs on the road. It wouldn't be surprising if a new Highlander arrives within the next few years, but the 2019 model will likely be a carryover from the 2018 model. Clearly, this is not a "statement" car for Toyota, but it does possess plenty of worthwhile attributes as a family hauler. The Highlander competes against other three-row SUVs in the mid-size segment including the Ford Explorer, GMC Acadia, Honda Pilot, Hyundai Sante Fe, Kia Sorento, Mazda CX-9, Nissan Pathfinder, and Volkswagen Atlas. It is hard to pinpoint where the Highlander excels against its competitors because it is very well rounded across the board without being the best in any one area. Think back to middle school when you heard that you could pass the test by choosing C for every answer - you won't get an A by doing this, but you probably wouldn't fail either. Toyota seems to have borrowed this "choose C for every answer" strategy with the Highlander, creating an SUV that will appeal to many buyers without leaping out as a segment leader. 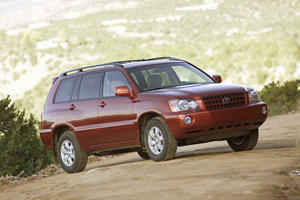 Let's begin with price, where surprise surprise, the Highlander sits relatively on par with many of its rivals. The base LE trim starts at $31,230 and comes with a 2.7-liter inline-four cylinder producing just 185 horsepower going out through a six-speed automatic. Although I didn't get to sample this drivetrain, it became quite clear after a week of driving that the V6 is the engine to opt for. Fortunately, all trims above the LE come standard with a 3.5-liter V6 producing 295 hp and 263 lb-ft of torque going out through an eight-speed automatic. Front-wheel-drive is standard, but all-wheel-drive is available for around $1,000 if you live in a region where it snows or if you need to drive off-road. Toyota sent me a mid-range XLE trim Highlander, which starts at $39,120 and includes niceties such as heated leather seats, navigation, a moonroof, smart key with push-button start, and Toyota's suite of Safety Sense technology (pre-collision warning, lane departure alert with steering assist, auto high beams, and adaptive cruise control). Just don't get too excited about the adaptive cruise control, because it does not work in stop-and-go traffic. The SE trim starts at $40,290 and adds a sportier fascia, 19-inch wheels, and sports suspension. If you'd like a slightly sportier Highlander the SE is the one to get, but it may sacrifice slightly on the XLE's wonderfully compliant ride. I would consider the Limited trim for $42,280 because it adds niceties such as ventilated seats, JBL audio, and available captain's chairs in the second row. V6-powered Highlander models achieve 21/27/23 mpg city/highway/combined, though I only managed to average around 21-mpg in mixed driving. Towing capacity is 5,000 regardless of FWD or AWD and Toyota also sells a Highlander hybrid which bumps power up to 306 hp while dropping towing capacity to 1,500 pounds. The Hybrid model improves efficiency in the city with 29 mpg, while highway fuel economy remains the same. If you do a lot of city driving it may be worth looking at the hybrid, which costs around $3,000 more. No matter how you option the Highlander, it will not blow anyone away in terms of interior technology. Toyota's Entune infotainment system is highly intuitive but lacks many of the advanced features found on more modern head units. Toyota is rolling out Apple CarPlay on several 2019 models, but the Highlander has yet to be included on this list. As it now sits, clicking the optimistically labeled 'apps' button on the infotainment system takes you to features including navigation, audio, phone, messages, an eco screen, settings, and traffic information. There is an interesting button labeled "Driver Easy Speak," which broadcasts the driver's voice over the speakers so it reaches the third row. This way you can tell Tommy to stop pulling on Lisa's hair without straining your voice. Aside from being a bit outdated, the cabin of the Highlander is a fairly nice place to sit. The front row feels roomy, although the seats were a bit uncomfortable for my taste. I rarely complain about seat comfort (unless it's in a sports car), but I just couldn't get comfortable in the Highlander even with the power lumbar adjustment. The seatback simply felt hard and unsupportive for my larger frame, though long-legged drivers will appreciate the power leg extensions. 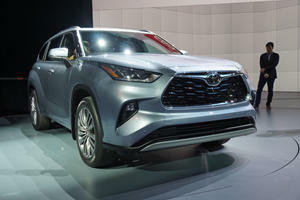 The materials in the cabin are far from Toyota's best, as many of the surfaces are hard-touch plastics, but the Limited trim does dress up the plain-looking interior with a splash of wood trim around the cabin. It may not be pretty but the Highlander is functional with a massive storage area across the length of the dashboard as well as a massive storage compartment in the armrest - your children's iPad should fit perfectly inside with ease. As with the front row, the rear seat is extremely spacious but lacks a cushy feel. The seatbacks are hard, but will likely be fine for children and adults who aren't picky. Legroom is a segment-average 38.4-inches and the second row can slide backward and forward to accommodate third-row occupants. My test model didn't possess anything in the way of rear-seat infotainment, just simple climate controls and a pair of USB outlets on the back of the center console. There are sunshades over each of the second-row windows, which will keep rear seat occupants away from harmful UV rays. It is fortunate that those second-row seats slide up because the third-row passengers will certainly need the space. Even at 5'9" I struggled to squeeze into the third row without pushing the second row forward. As with most vehicles in the mid-size segment, the third row should mainly be relegated for children or smaller adults on very short trips. Also similar to other vehicles in this class, the storage space in the trunk shrivels up with the third-row up. Cargo volume is 84 cubic feet when all three rows are folded flat, halved to 42 cubic feet with the second row up, and a dismal 14 cubic feet with the third row engaged. Not exactly class-leading. By now it should be very apparent that the Toyota Highlander is a competent and subtle SUV that doesn't push the boundaries of what an SUV can be - this is no different from behind the wheel. The Highlander isn't as sporty as the competitors like the Mazda CX-9, nor is it as numb as the Nissan Pathfinder - it sits comfortably in the middle. Ride comfort is excellent over rough pavement and wind noise is minimal even on the highway. The steering is light and provides excellent control over the vehicle. Some larger SUVs can feel upset by large wind gusts on the highway, but the Highlander is tremendously stable. The 296-hp V6 offers competent acceleration and can even spin the front tires with ease. It's worth noting that if you want to do any sort of off-roading to opt for AWD - my FWD tester couldn't make it up the small grassy hill pictured below. The eight-speed automatic shifts very smoothly and downshifts take place fairly quickly when you press the throttle. No matter what car you are getting out of, the Toyota Highlander is an easy vehicle to grow accustomed to. It did take me until the end of the week to get used to the car's stop-start system, which is far from the smoothest I've sampled. However, after a few days of driving the car, I became fairly good at timing my press of the accelerator with the system to achieve a seamless start. Interior technology is perhaps the only area where Toyota truly lags behind the competition with many of its vehicles. The company desperately needs to speed up the process of adding Apple CarPlay to more of its cars, and should highly consider adding Android Auto as well. The Highlander won't win any prizes for excitement, but it will hold its value as well as almost any other SUV in the segment. 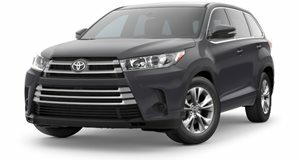 There are several competitors that offer more features, a sportier design, or better value, but if you'd rather just play it safe with a reliable vehicle like the 2018 Toyota Highlander, it's Worth A Look. Good news! 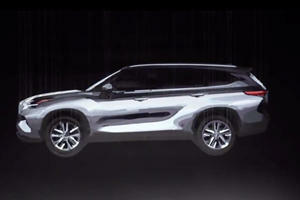 It looks a lot like the new RAV4.